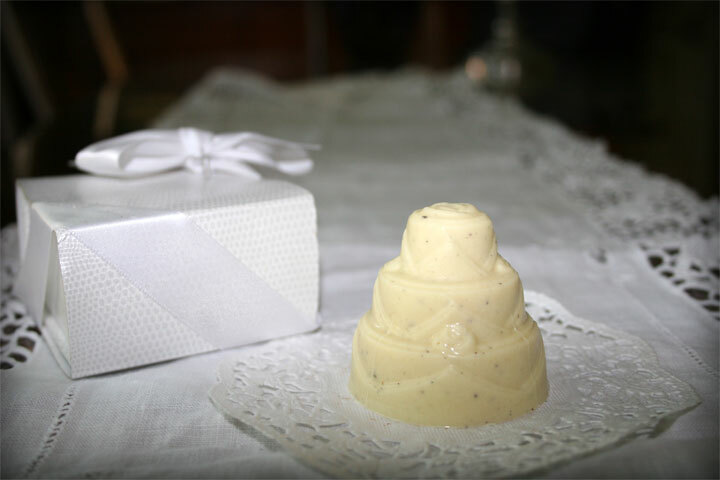 Let your guestsindulge in their own miniature wedding cakes made of the finest organic Italian chocolate. 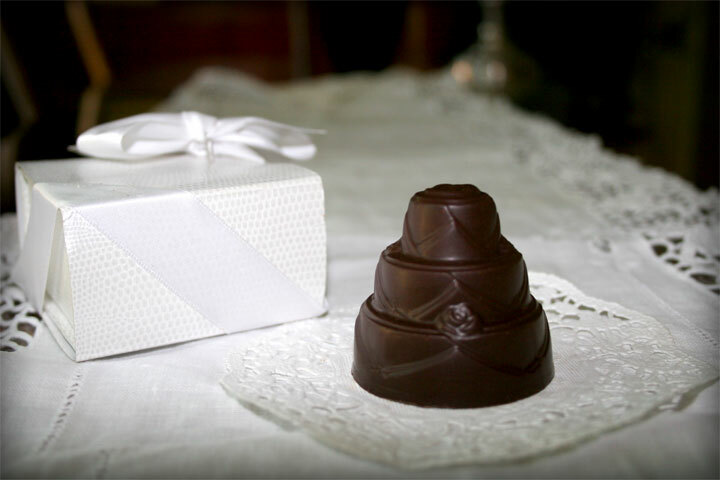 Dark Chocolate covered "Fresh" California Almonds within a "Soft Sugar Shell" 100% Natural Sugar. 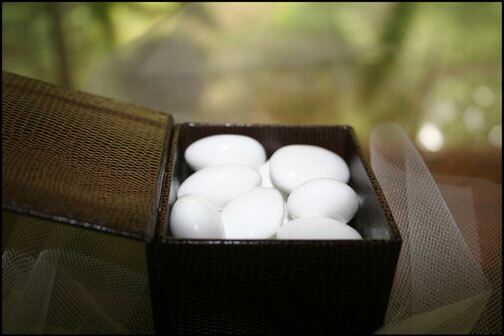 Traditional Italian wedding favors represents love, longevity, happiness, tranquility, and prosperity. 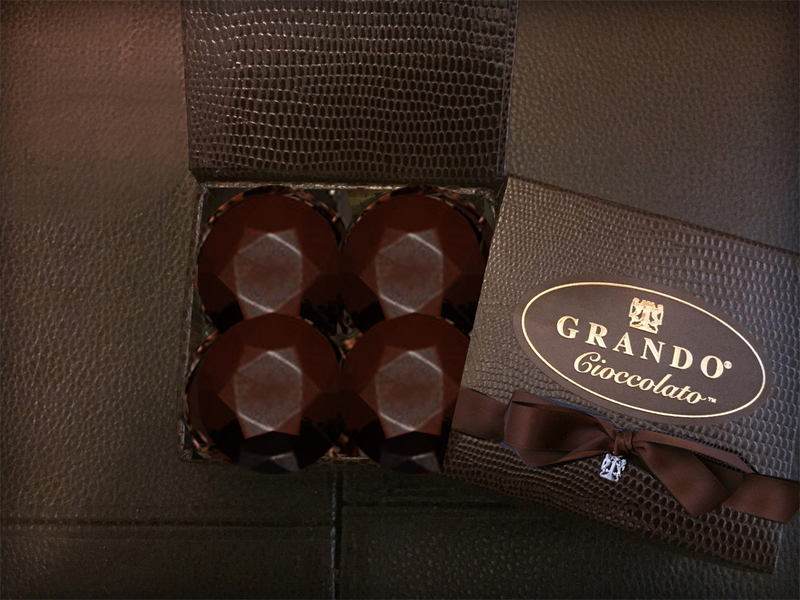 Grando Cioccolato signature luxury gift box. 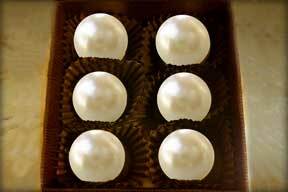 White Chocolate with a natural pearlescent glaze. 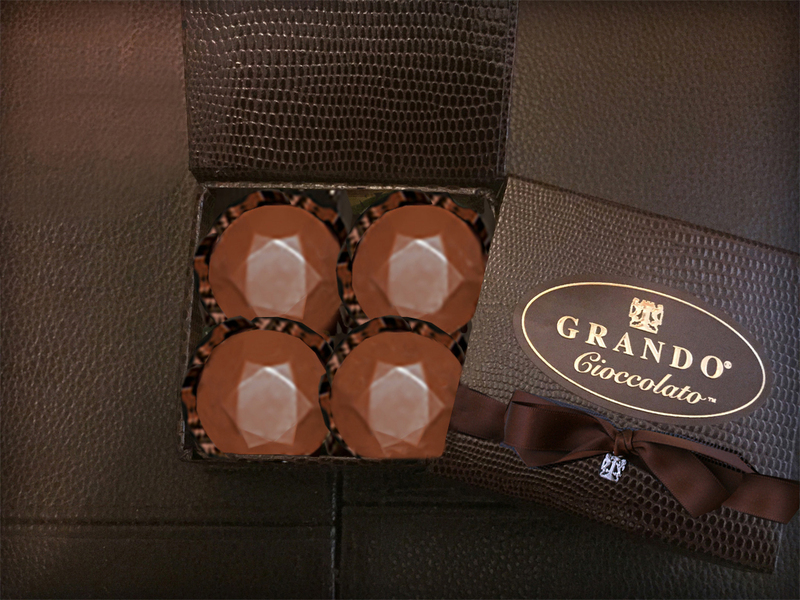 Indulge your guests with my GC Chocolate Diamonds on your wedding day! 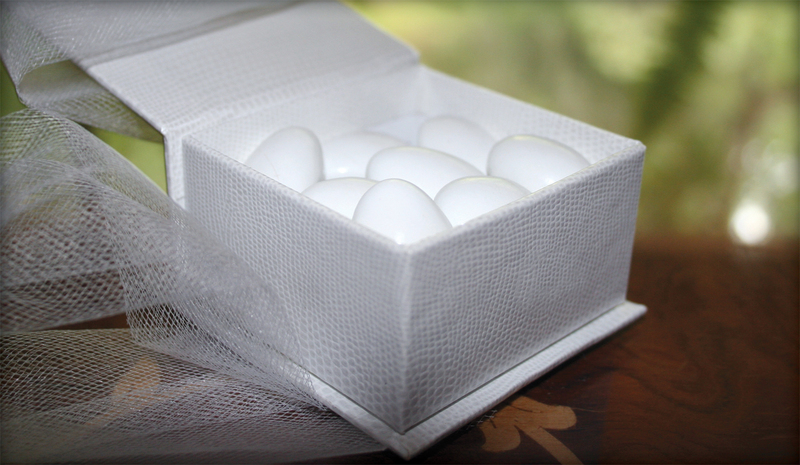 They will appreciate receiving a sterling silver crest and keepsake jewelry box as a remembrance of your special day! 70% Dark for a bittersweet bite, milk chocolate that melts in your mouth and assorted chocolates for a variety in life! 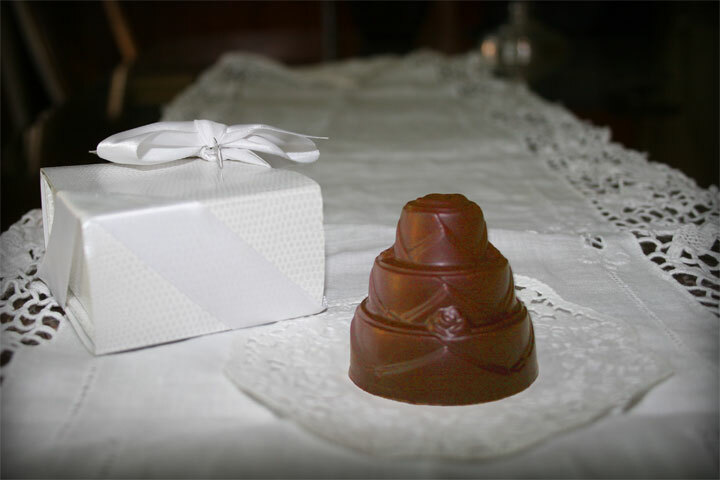 Custom Wedding Chocolates and packaging are available.